Microsoft has released a nice little utility for CRM 3.0 that allows users with the Report Manager privilege to schedule reports to run automatically on an hourly, daily, weekly or monthly basis. It is available right from the reports area of the My Work area in the web UI. The wizard lets you create snapshots of a selected report, determine who the report will be available to, and set the parameters, recurrence, start and end dates. 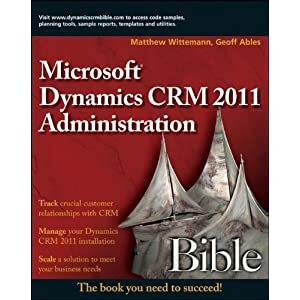 Very nice add-on for CRM 3.0. Keep 'em coming Microsoft! The wizard can be downloaded here. Have you successfully generated (schedule) reports through web client or outlook? Whenever i run the wizard, i get the error of "operation failed". "Unable to set report parameters. Verify that all parameters have valid values and that you have provided the correct user"
And yes it happen with all my reports. we've also been getting errors with the report scheduling wizard on custom parameterised reports that we have created. The canned reports do work, so we've tried to remove fields and graphics and have still had no luck. We are also receiving the "operation failed" error. I had the same issue with custom reports. You need to make sure each of your parameters have default values set. if not the wizard fails.